'Perfect Hair' is Los Angeles rapper/producer Busdriver's eighth solo album, released through the UK-based Big Dada label, and it's a pretty dope affair. Busdriver's energetic flow is on show throughout the album's 10 tracks, and the hard hitting, electronic, experimental instrumentals compliment Busdriver's approach and presence on the microphone. 'Perfect Hair' features a couple of well chosen guest appearances, and this is an album that definitely sits well amongst the LA musician's back catalogue. The album kicks off with 'Retirement Ode', and this is a good way of starting out, swelling synthesizers and resounding production backs Busdriver's confident vocals. He switches effortlessly between double time spitting to a more slow-paced flow, proclaiming 'I'm not a cool dad/ or a new fad' and 'I'm dope as f**k/I know what's up' with good spacing between the bars, allowing them to hit with real impact. 'Ego Death' is another sick cut from the album, Aesop Rock & Danny Brown join Busdriver here. The latter's flow is on top form, and Aesop is ever fantastic. His ability on a microphone is rivalled by very few, with a verse packed with metaphors and references, serving as more evidence of him being one of the very best to do it. Danny Brown's appearance also impresses. 'Upsweep' follows, and the soulful, yet slightly glitchy instrumental is a nice contrast to the previous track's relentless feel. Busdriver's melodic flow, and the sung nature of the vocals compliments the Mono/Poly produced beat. 'Can't Tell You I'm A Sociopath' featuring VerBS is another standout on the album. The frantic instrumental suits the unrelenting Busdriver, and VerBS kills this track. His verse perfectly matches the beats rhythm, and the Los Angeles MC is definitely one to watch out for. 'Perfect Hair' isn't flawless. Some of the more experimental tracks, although admirable sometimes, left me distracted from Busdriver's intricate lyricism; the end verse on 'Bliss Point' is a case in point. 'Eat Rich' features some nice lyrics in the verses, but the synthesized beat can again sometimes become a little too much. 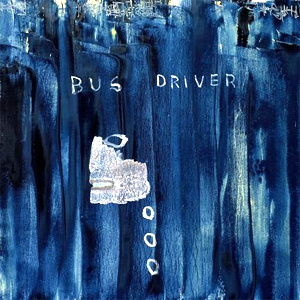 This genre pushing hip hop is not something to be condoned, though Busdriver's ethos is definitely well portrayed on this album and his flow and verses are still as impressive as ever. It's definitely the tracks with more emphasis on Busdriver's rapping ability that impress more, as opposed to some of the crunchier and glitchier production - although, to be fair to him, it certainly takes a high level of skill to rock the more experimental sounding beats on 'Perfect Hair' as well as he does.